Brockville General Hospital is a full service, 148 bed, community hospital, serving a referral area of 110,000. Affiliation with Queen’s University, Faculty of Medicine, provides opportunity for participation in teaching of medical learners and academic appointment. The department of Anesthesia provides services to 5 ORs and 4 delivery suites as well as endoscopy and preoperative assessment clinics. Participation in the full range of community anesthesia including On Call rotation is required. Future growth plans include expansion of the Chronic Pain management services. Surgical Services include: General Surgery (4), Obstetrics/ Gynecology (3), Orthopedics (4), Ophthalmology (2), and Urology (2). 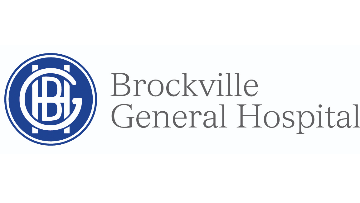 Please send expressions of interest along with CV to Carlene MacDonald, BSCN, Physician Recruiter, bghphysicianrecrutiment@brockvillegeneralhospital.ca 613 285 5057 (c). The city of Brockville (pop. 22,000) is located on the St. Lawrence River, in the beautiful Thousand Islands region. Driving distances: Kingston 75 km / Ottawa 110 km / Montreal 210 km / Toronto 350 km. Review of applications will commence immediately and continue until positions are filled.